Most Newfoundlanders, and Canadians, think of November as the vanguard of winter. Temperatures plummet, trees lose the last of their summer leaves, and even a little snow can be expected before the month is out. 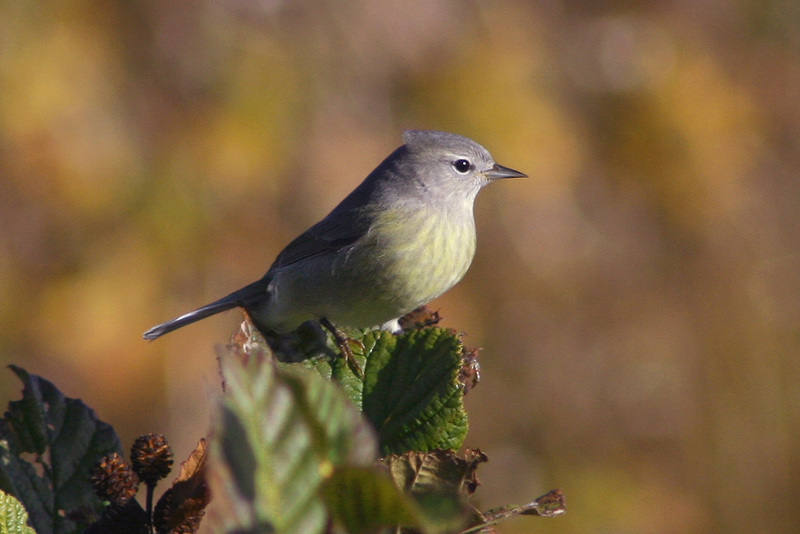 Sure seems like a strange time to be looking for warblers – but here on “the rock”, November warblers are an integral part of the fall birding scene. Orange-crowned Warblers, which breed in southern Labrador yet not the island, are one of our routine November warblers. There have been a healthy handful reported so far this month. Granted, warblers are scarce this late in the year. A few late and lingering individuals can be found, often in the company of tougher, year-round species like Black-capped Chickadees and Dark-eyed Juncos. That just makes the otherwise “expected” ones a tad more exciting. 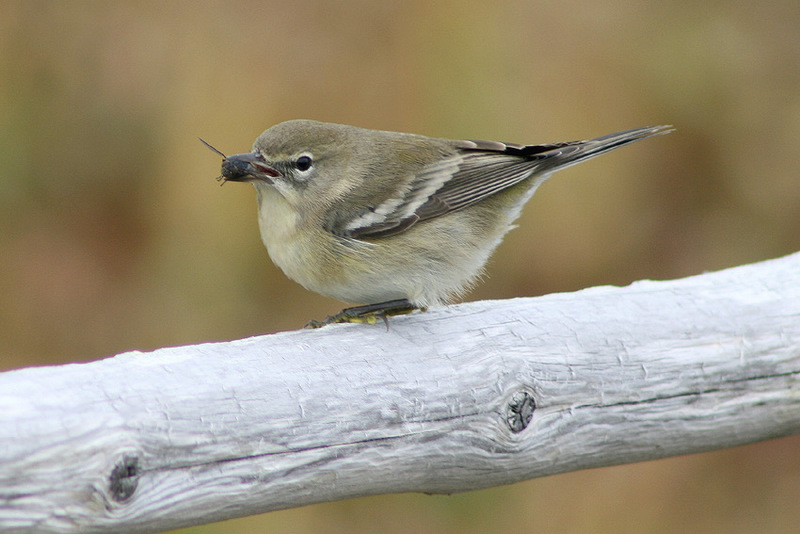 And of course there are the vagrants – warblers that do not normally breed in or migrate through Newfoundland but have somehow gotten off-track and ended up here anyways. By November, some of those vagrants may have traveled a long way from home. This is the month when most western warblers, such as Black-throated Gray, Hermit and Virginia’s Warbler, have been discovered here. All in all, nearly 30 species of warbler have been recorded in Newfoundland during November – many, like those listed above, are the rarest ones on our checklist having been seen only once or twice in our storied birding history. 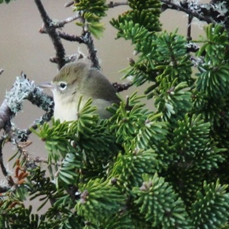 This Virginia’s Warbler, the only one ever recorded in Newfoundland, was discovered on November 14, 2013. It was an exciting day for local birders! Townsend’s Warbler, an enigmatic little critter from west of the Rockies, has an unusual history of showing up here in late fall and early winter. With 17 individuals (the latest just last week! ), Newfoundland has more records than almost any other province or state in eastern North America! More amazing still, almost all of those have been in St. John’s. And a total of eleven records come from one small river valley spanning just a few square kilometres! Odd things happen in the easternmost reaches of the continent. 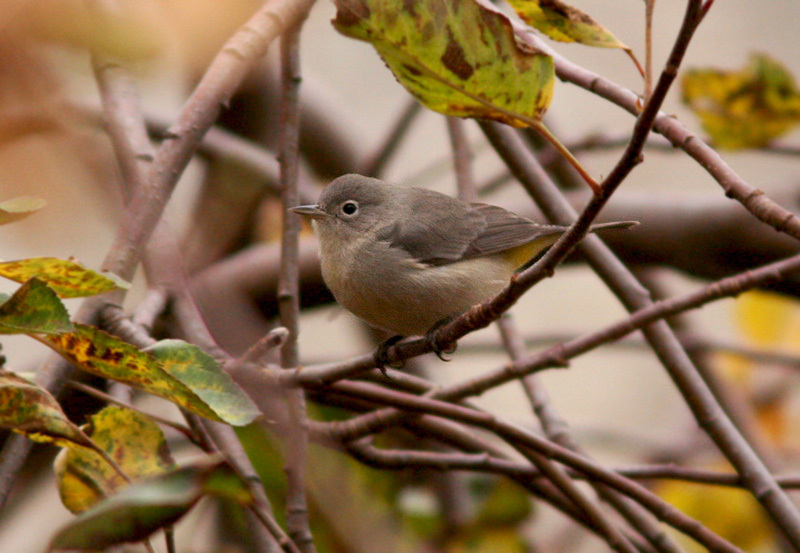 This “mystery bird” was photographed by Cliff Doran on November 12th. Can you guess what it is? The photos showed only the head and extreme upper breast of the bird – the rest obscured by branches. It showed a dull olive brown head, bright white eye-arcs and apparent pale yellow wash on the breast. The bill was on the large end for a warbler (prompting some people to consider a very rare vireo), but didn’t appear to be hooked. 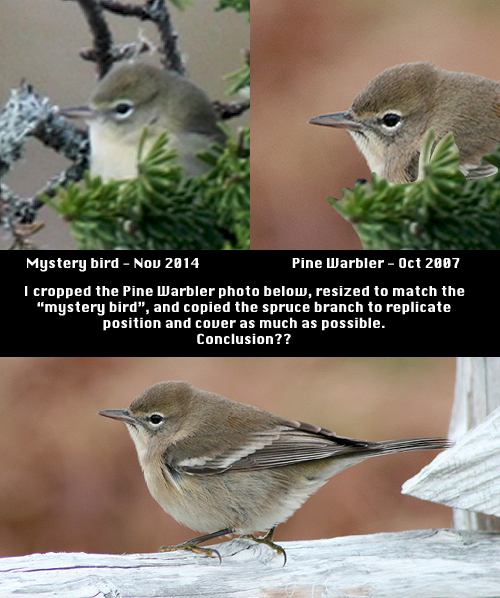 After a few minutes pondering the possibilities, and then confirming my suspicions with Bruce Mactavish (who is currently at sea and craving terrestrial distractions) and Alvan Buckley, the conclusion became clear … Pine Warbler! An excellent, but fairly regular, visitor to Newfoundland at this time of year. 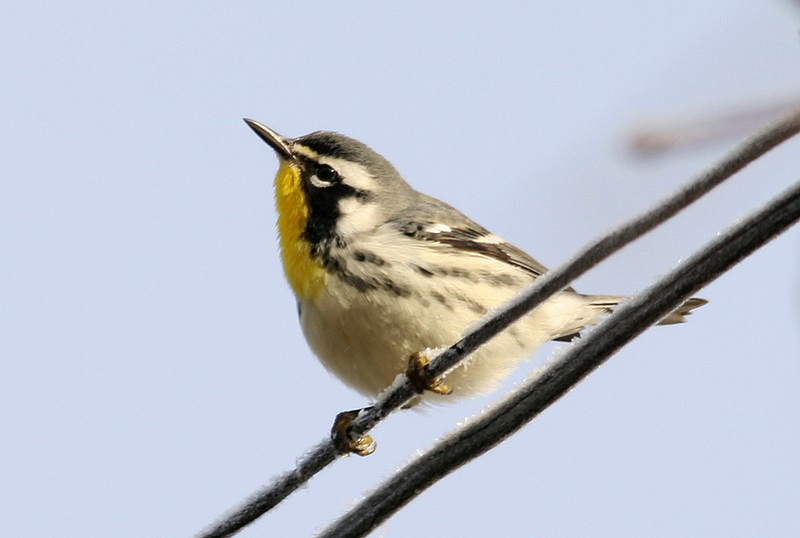 Identifying dull fall warblers can be a challenge, but its often worth the effort! 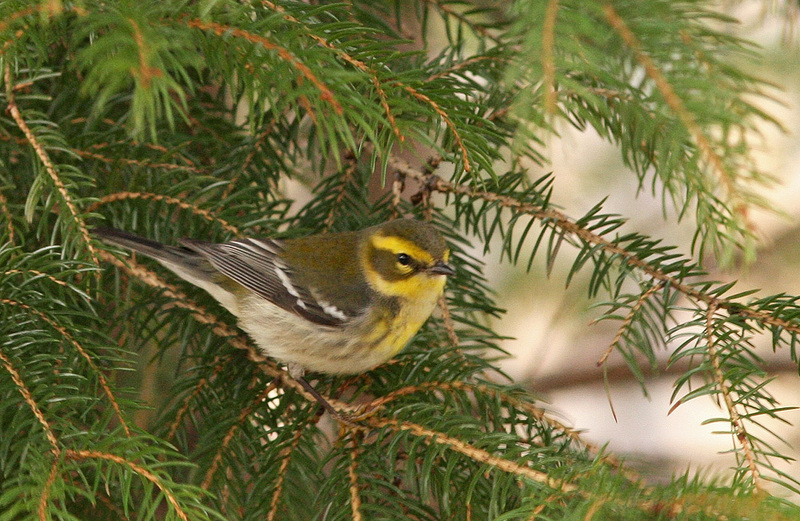 This Pine Warbler, photographed in St. Shott’s a few years ago, was making good use of the late fall flies. Pine Warblers are another hardy warbler that get reported more often in November than any other month in Newfoundland. This entry was posted in Uncategorized and tagged hermit warbler, mystery bird, Newfoundland, November, rare bird. Bookmark the permalink. Always interesting, I will keep reading if you keep sending.